and safeguard health and lives. The information here, adds to the details in the petition launched on Christmas Eve. That mentions further solutions, which can be found below, in points (1) to (5) under the ‘CONCLUSIONS & SOLUTIONS’ subheading. On breaches of law see point (5) and the last paragraph under SOLUTIONS TO MALADMINISTRATION REJECTED. Most criticisms of the change-over to Universal Credit are about difficulties in obtaining and retaining it. Reports often refer to those struggling as a result, with suicidal urges but in mid-December the government said it doesn’t know how many people have, as a consequence, taken their own lives. The focus in this petition is the health threats caused by gross maladministration over free prescriptions, which the government could so easily resolve. So bad is the administration within one part of the now fragmented NHS., the Business Services Authority, that it is persistently and unlawfully, threatening with bills, fines and even court actions, many sick and disabled people, who are genuinely entitled to free prescriptions. Very obvious and very simple solutions to this bizarre, unlawful and crisis situation were rejected by the NHS on the 21st December. It has refused point blank, to make immediate and necessary changes, to put the NHS on the right side of the law. The NHS won’t instruct its administrators, to ask the Department for Work & Pensions, the only question which would provide the only information which matters, i.e. whether claimants are entitled to free prescriptions. The NHS has legal duties to protect physical and mental health and provide information which is accurate, trustworthy and easy to understand, regardless of intellectual abilities and sensory needs. If the government instructs the NHS to comply with the law, this crisis would end with the stroke of a pen. The FP10 prescription form states that patients who are not sure what to do should pay for prescriptions and at the same time, obtain a FP57 to claim a refund. They cannot obtain one after the event. That statement assumes they are capable at the time, of dealing with the convoluted process and have available funds to pay for prescriptions, mindful of the fact that many claiming Universal Credit, cannot afford to feed themselves and their families and so rely on food banks. It is not known how many seriously ill people have stopped taking essential medication, just to regain peace of mind, because of bewildering difficulties in fighting off unlawful NHS threats. As a former medical social worker, John Bradfield stumbled over this issue, when a parent with young children, said they had stopped taking potentially life-saving medication after surgery. They had lost trust in the NHS., because of fears of more unlawful threats. They have to rely on a food bank, so cannot afford to pay for prescriptions and are refusing to claim them for free again. It is one thing for parents to risk shortening their own lives. It is another to place children at risk of suffering preventable bereavements. Those could cause life-long emotional and relationship harm. John Bradfield could not believe how difficult it was and how long it took him, to have their bill and fine withdrawn. That says all that needs to be said, about what others who are vulnerable, would be subjected to. Charities have spoken out but so far, all has fallen on deaf ears within the NHS. to prevent the NHS being plunged into disrepute. What qualifications are demanded, to dream up and sustain such Alice In Wonderland chaos? Has this convoluted farce and harm to health been picked up by Have I Got News For You? Is there evidence that civil service trade unions moved swiftly to prevent harm to vulnerable individuals, by calling for effective and efficient administration? Did they put forward obvious and simple solutions, at the first opportunity? Has the government yet to work out, how much public money is being wasted, on tangled and incoherent communications between the NHS and Department for Work & Pensions (DWP) over this issue? Why is the NHS persistently failing to ask the DWP the right question, i.e. whether the claimant is or is not entitled to free prescriptions, regardless of which benefit they are receiving? Yes, the solution is that simple but it has yet to be grasped. Do civil servants and politicians not realise the absurdity, of what right now, they are insisting must be done? (5) demonstrate a determination to respect the law, by ensuring NHS civil servants cannot use tangled administration, to persistently subvert full compliance with the law, e.g. the legal duty to protect and promote both physical and mental health and the legal duty which came into force on the 1st August 2016, to provide information which is accurate, balanced, trustworthy and easy to understand, regardless of intellectual and sensory needs. In short, enforced poverty is a threat to health, to lives, to emotional well-being and to stable relationships which are so vital to the protection of children. British Medical Journal, The Lancet, Pulse (medical website), Royal College GPs., British Medical Association, organisations representing pharmacists, Health Service Journal, Nursing Times, The Patients Association, Community Care, various newspapers, Private Eye, Gingerbread. If you find funerals depressing, strange or even oppressive, this may be your one and only opportunity to help turn things around. You only have until 11:45 on the 21st August. Help make the world a better place, by reading and responding urgently to this public consultation document. It is short, easy to understand and looks harmless enough. However, as you will see below, the dangers are in what it doesn’t say. If we can bring the Department for Work & Pensions into the modern world, that would have a knock-on effect with the NHS and other public services. The information which they hand out would then be very different, when those we are close to have died and we have to struggle with the intensity of our grief. Pasted below is the full length version of summary details, which John Bradfield of the Alice Barker Trust circulated to a number of organisations. If you find his approach too technical, just do a word search for relatives, friends and daughter in what he has written. You will see how much we could all achieve, if provided with practical information, on how to pursue our full range of lawful options. Note. Apart from specific mentions of Scotland, most if not all of what follows, is essentially about England & Wales. What matters more than anything else, is meeting the urgent needs of those who are facing the first minutes, days and weeks of struggling with devastating bereavements. That cannot be achieved by the public consultation, as long as their needs are seen through the ever dominant business prism of the “funeral industry”. Please make a strong call for the Department for Work & Pensions (DWP) to adopt instead, a perspective which is designed to robustly protect and promote emotional and social wellbeing. Unless the notion of joined-up or seamless public services has been abandoned, there cannot be a credible reason to carry on resisting a health and welfare approach, e.g. because of the legal duty on the NHS to protect and promote both physical and emotional wellbeing. That is especially so during times of emotional crises, such as the immediate impacts of devastating bereavements. Crucially, that legal duty means having to empower us when we are facing personal and social crises. That includes a legal duty to outline our options with nothing other than accurate information. Given the determination of relevant government Ministers and other MPs., that is something the DWP could so easily help achieve, by outlining what we can all do and how we can do it. That in the long run is cheaper for the public purse, because prevention is more cost effective than cure or protracted care. Other than a lack of foresight and wisdom, what possible reason could there be to resist that? The Health & Social Care Directorate within the Scottish government has studiously resisted it, so may have the answer. On the 3rd August 2017, I emailed the government’s Cabinet Office in London, to request that a correction on law be added to the details within the DWP’s public consultation, to comply with the government’s consultation standards. I also asked that those standards be strengthened, e.g. there isn’t one which clearly requires that information in formal public consultations be accurate. The NHS and adult social care services have had a legal duty to provide accurate information since the 1st August 2016. Other public services could and should do the same, without any necessity for them to have a legal duty to do so. The legal flaw in paragraph 4.5 of the DWP’s consultation, is that contrary to the wording of the current DWP Regulations, it is impossible for anyone to become the owner of a grave or “burial plot” in a public burial place. That was drawn to the attention of the DWP on a number of occasions in recent years. Consequently, it is all the more surprising that the same error has been written into this public consultation. What had been the ability to purchase perpetual “burial rights” to control who could and could not be buried in what were loosely referred to as “family graves”, was ended by law in 1964 (Church of England) and 1974 (local authorities in England & Wales). Even then, the landowner still owned the graves. It is still possible to purchase perpetual burial rights in public cemeteries in Scotland. That may change, as the Health & Social Care Directorate within the Scottish government, held a related public consultation in 2015. It is currently moving forward on the basis of pseudoscience and trying to solve problems which do not exist, whilst ignoring those which do. In short, Scotland still has the opportunity to set world class standards, by being the first within the UK., to adopt a robust health and welfare perspective. It has been and may still be, at serious risk of losing the plot and demonstrating creeping authoritarianism, with the intention of removing ancient civil rights, without sound justification. By contrast, it was and may still be avoiding the issue of storing up future risks to life and limb, by not insisting on gravestones which cannot become unsafe. Its consultation closed on the 24th April 2015 and 8-year-old Ciaran Williamson was killed by a gravestone in a Glasgow cemetery on the 26th May 2015. Did his untimely death change the priorities of the Scottish Government? Now, in local authority burial places within England & Wales, in addition to paying to have a grave dug and filled, it is only possible to pay to have use of a grave, for a specified number of years. The maximum length of time anyone can own the “burial rights” is 100 years, but usually 50 and sometimes fewer are offered. The whole point of that is so graves in those public burial places can be emptied and used again when burial rights expire. That guarantees a continuous flow of income for the continual running of the services but for temporary rather than permanent burials. Temporary protection of individual burials can be extended, for as long as money keeps being paid, to renew the “burial rights”, immediately before they expire, on each and every occasion. Sooner or later there will be no-one to renew those rights and the graves will be emptied and used again. Despite what it is legally able to do, the Church of England rarely sells “burial rights” in its new graves. “It is not possible” to purchase burial rights in graves owned by the Church in Wales. The Church in Scotland appears to own very few burial grounds and it may be, that none remain active. It has its own laws on a range of subjects but its legal department was not aware of any relating to graves (lairs) and burial rights. Paragraph 4.5 in the public consultation is potentially very serious. What is proposed, could end up forcing some who are eligible for Funeral Payments, to use what were referred to as “pauper” graves, if only those are offered in some local authority areas. Those are where burials have already taken place in the graves. Increasingly, they will include those where burial rights have expired, if they still have room for one or more extra burials. When only used graves are offered to those claiming Funeral Payments, they currently have the option of using “new” graves in adjacent or even other local authority areas. Their charges would be covered by the DWP., up to a cap on the amount which can be paid. Will that option remain, with changes to come in the DWP Regulations? Although burial rights can be purchased at any time, it may or may not prove possible to purchase them, in a grave where those buried have no connections with each other. For example, it would give an advantage to one burial over another and that might be discriminatory. Some years ago, claimants were restricted to using such graves. The public consultation may not signal an intention to revert to the previous system, which many saw as stigmatising but it could be the start of a slippery slope. Paragraph 4.5 looks innocuous to the uninitiated but as with many things, unintended consequences need to be considered, before any changes are made to existing law. In more recent years, the government gave up on ensuring that Funeral Payments would cover all costs, when using commercial contractors, such as undertakers. To meet whatever charges they may be keen to make, they persuaded the government to lend additional money to those entitled to Funeral Payments. That is plunging them into avoidable and in many cases, greater debt. That meant that the government willingly abandoned the financial ceiling below which undertakers could be urged to work. That abandonment had the support of the LibDems fronted then by DWP Minister Steve Webb MP.. He lost his seat at the last general election and became director of policy with the Royal London, which is running TV advertisements for funeral insurance. 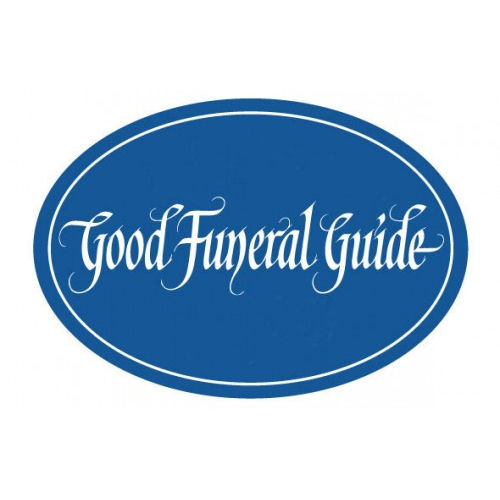 The public consultation document states that the government doesn’t want to place, “an additional burden on the funeral industry”. With the encouragement of Steve Webb when still a Minister, the government imposed a frightening burden of debt on benefit claimants, when they are acutely vulnerable, struggling with the immediate impacts of devastating bereavements and risks to their health. As a result, the Co-op asked one woman to borrow £2,000 to add to her Funeral Payment. She was so frightened, that her mother wasn’t buried for 4 months. The local authority stepped into the breach and arranged what would have been called a “pauper’s burial”, about which see above. When the daughter’s time comes, it will not be possible for her to be buried with her mother. However, I discovered that the DWP Funeral Payment with the £700 would have covered all costs for a new grave, for mother and daughter, had the undertakers not been involved. It is important, therefore, that the DWP inform benefit claimants, their relatives, friends, neighbours, voluntary organisations and others, that they can work together to do everything themselves and claim Funeral Payments. To obtain Funeral Payments, there is no obligation to involve any commercial contractors. A question you might well ask, is why the DWP has not made that common knowledge over many years? This consultation could change that if you stress the point. Currently, Funeral Payments cover the full burial and cremation charges in each local area. To reflect the true meaning of those payments, it would be clearer in future legislation to refer to Burial & Cremation Payments. The additional sum payable which is currently £700, is intended to help ensure related practical arrangements can be covered. That sum is not intended to cover the high and often extraordinarily high costs of using commercial contractors, such as undertakers. Burial charges covered by the DWP include the digging and filling and the right to retain the use of the grave, for a specified number of years, as mentioned above. Also mentioned above, is that £700 can be claimed for anything else. If a coffin is to be used, purchasing one from the internet would take a chunk from that sum. For the avoidance of doubt, no law requires that coffins, shrouds or other special clothing, hearses or undertakers, be used for any reason at any time. Undertakers have no powers to say what anyone can and cannot do. That is despite what some of the most lucrative undertaking businesses have been known to do and say. If law was better understood and access to the courts did not depend on having deep pockets, some undertakers could have been prosecuted for obstructing those who pay their bills. Only they have what the law says is “lawful control” over what can and cannot be done, where and when, i.e. they in law are the only legitimate directors of funerals. In law, undertakers should be humble and obedient servants and not “directors” of anything. Before a Parliamentary Adjournment Debate about Funeral Payments on the 26th April 2011, Teresa Evans (evansaboveonline.co.uk) and I had already persuaded the DWP to make clear in its literature that, Funeral Payments can be made, without using undertakers or other commercial contractors. Even now, the DWP doesn’t give practical information, about how to deal with things in other ways, to help avoid going deeper into debt. The DWP must be urged to move away from unwittingly promoting the “funeral industry”. That is contrary to not only a health and welfare perspective but also contrary to the safeguards intended in consumer protection legislation. If nothing else, the DWP should at least appear neutral. However, that may not be acceptable in law, as there seems to be an implied duty to protect those who are most vulnerable, so they gain a sense of security, through the actions of our social security system. The term “social” is very relevant here, where I have mentioned relatives, friends, neighbours, voluntary organisations and others. Will the DWP put them centre stage, in its future social security literature on Funeral Payments? All public services should have as their main priority, how to help avoid the harmful financial, emotional and social consequences, for those who are dying and newly bereaved. All must be urged to promote a robust health and welfare perspective. For that to happen, the DWP., NHS., Social Services Departments (E&W) and what are or were Social Work Departments in Scotland in particular, must do what was recommended in an academic study in the 1930s. The same was more recently recommended by the now defunct Office of Fair Trading but has never been done. That is, provide sound information on all lawful options and how to go about doing sensitively, whatever will best meet emotional and social needs. That would not only empower individuals but encourage and strengthen social bonds and supports within families, other groups and communities. We have constructed and still keep propping up a culture, which unwittingly encourages the financial exploitation of grief. That is done by those on the frontline, such as NHS staff and coroners, who naively allow undertakers to influence policy makers, directly and/or indirectly. That was deprecated in the above academic study in the 1930s but hard lessons have not been conveyed, even by the proliferation of modern university education and training courses, relevant to health and welfare. Only detailed, creative, sound and therapeutically empowering information on one credible website, would minimise those things which are most disabling, such as financial exploitation, intense fears, ignorance, mystery, harmful and often total dependence, helplessness and hopelessness. Empowerment, by encouraging independence of thought and action would also help prevent those living in poverty from being plunged even further into avoidable debt. Points like these are not raised in the DWP’s public consultation document, but you could raise them and flag up other important issues which are not mentioned above. John Bradfield, CQSW FETC MA., Former Medical, Psychiatric & Child Care Social Worker & Tutor. Writer & Campaigner on Bereavement Issues, Related Law & Practice. DoH civil servants have consistently failed over decades, to deliver laws and policies which would have had major impacts, on abuse and negligence. Those are forms of ‘bereavement’, i.e. the “loss” of anything of crucial importance to us such as life, limb, health, innocence, personal integrity, peace of mind, emotional security and stability. The NHS has a legal duty to protect those things, (Ss.1 & 1A, NHS Act, 2006) but where are the politicians and political parties determined to ensure that staff comply with the law? At no time since the start of the NHS in 1948, has the DoH provided information on law and psychology, to guide NHS staff on how to respond and not respond, after the devastating death of a relative or friend. The DoH consultation documents issued in January on collecting bodies from hospitals, incompetently fail to outline relevant law and psychology. What is proposed is the very opposite of what those demand and will inevitably inflict immeasurable emotional harm. That is not understood by staff in the DoH.. Why not? The DoH allowed hospitals to impose criminal obstructions to the collections of bodies. It is about to encourage those criminal obstructions. It will be the most outrageous change in the way NHS staff and other public servants respond to anyone, in the first minutes, hours and days as they attempt to cope with a death. Crisis and survival psychology, (i.e. about why some of us die in threatening situations or survive but become disabled with post-traumatic stress disorders, depression, anxiety, suicidal urges and so on), point unequivocally to the importance whenever possible, of having opportunities to take control, be assertive, proactive, decisive and purposeful in finding our own solutions and ways of coping. Anything which obstructs our ability to do those things, can be predicted to cause emotional harm, in the short, medium and possibly long term. The gross incompetence of civil servants in the DoH., will force even more of us into helpless dependency, reinforcing our fears of taking control, when we have to cope with the death of a baby, young child or adult. We may also have to cope with the criminal destruction of our family graves. That should have been resolved during recent court cases but public officials misled the courts on relevant law. On returning to work after the Easter holiday, staff at the Quarry House office of the Department of Health in Leeds, summoned the police to remove retired social work tutor John Bradfield from the premises. His protest followed 20 years of unproductive letter writing. Two police officers arrived and agreed that he was not breaking the law. He explained that unless a coroner is involved, criminal law prevents hospital staff and anyone else, from dictating who can collect, when and how, the body of a baby, young child or adult. He then asked the police to arrest the civil servants responsible for encouraging “endless criminal and oppressive responses, when NHS staff are involved in the first minutes, hours and days, with those having to cope with devastating bereavements”. He added that, “staff must always respond therapeutically and stop acting like high security prison guards”. With the children’s organs scandal, he said, “everyone knew what was happening and no-one did anything about it”, according to former Health Secretary Stephen Dorrell. “To this very day, NHS staff continue to resist the full lessons of that scandal. Everyone knows what is happening over breaches of criminal law when relatives attempt to collect bodies”, said John Bradfield. That, he said, “carries no maximum penalty and no limit on when a prosecution has to start and the courts regard it as very serious”. The Health Select Committee in parliament revealed, that civil servants in Quarry House had already decided by the 27th February, what they would do before the close of a public consultation at midnight on Easter Monday. They will advise NHS staff to see what John Bradfield describes as a “completely irrelevant” document, before bodies are collected. He says, “Nothing in that consultation mentioned relevant psychology or what the law does and doesn’t allow”, adding that “this is incompetence of the highest order”. The same staff were criticised in January by the Royal College of Pathologists for the “incomprehensible” delays in finding a new approach to monitoring causes of deaths, after GP Harold Shipman was found guilty 15 years ago of killing patients. When driving one Friday to collect the body of a friend from a hospital, John Bradfield thought it would be his own last day on this earth. The police had warned everyone to stay at home. Accidents caused by black ice, dense fog, heaving rain and flooding, resulted in many closed roads, including parts of the A1 motorway. He tried to arrange the collection on the Saturday, the day before the funeral but the hospital refused to help, when police had advised driving conditions would be safe. John Bradfield said, “the decision of the hospital could have put me in its A&E ward or mortuary, because NHS staff have not been advised on their legal duty, to protect physical and emotional wellbeing around bereavements and how to help prevent fatal accidents”. He claims, “there is a desperate need for NHS staff to be provided with sound information on law and crisis psychology, as that has never been done since the start of the NHS in 1948″. 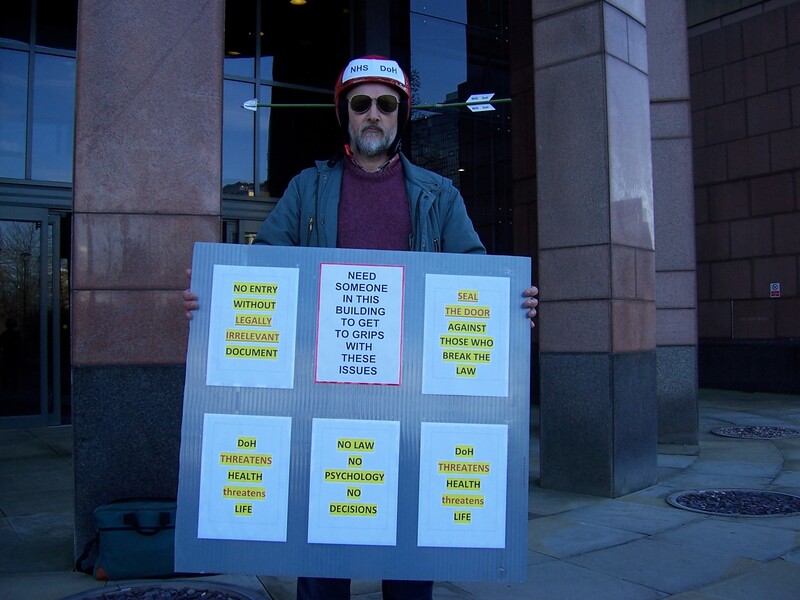 The parliamentary record states that he has, “unparalleled expertise on relevant law”, since 1990 has provided “the nation [with] a free public service which no-one else is capable of providing” but clearly civil servants in Leeds and NHS staff have been shooting this messenger, which is why he was seen with an arrow through his head during his protest. He is calling for a courageous MP to tackle this taboo subject in parliament. This proposal traces back to the education of health and welfare staff since the 1960s. Very determined voluntary work over the last two decades, has caused volunteers to give up, on an empowering approach to bereavement, due to the unrelenting stress, caused by having to deal with public servants who persist with unlawful obstructions. We have set out below, a significant part of the solution. If grasped by politicians, a modern public service funded and organised by voluntary organisations would emerge. It would be user-friendly, inspire the best in public service and create a lasting legacy for the nation. When someone dies, one emergency is over but all staff in the NHS., welfare and other public services should recognise, that other ‘health’ emergencies may have started. That requires that all staff in all public services co-operate fully, with the lawful decisions and responsibilities, which those who are newly bereaved and others would take, if not unlawfully obstructed or kept in the dark, about their choices for taking control. For almost four decades, formal NHS policy effectively defined a procedure as bad practice. It is now being adopted by some hospitals as good practice. We are confident that it is criminal. The police do not understand the law, so have never referred incidents to the Crown Prosecution Service for consideration. Such technical details could be dealt with clearly and simply, in a new law, to promote self-help and independence. The proposal here, would radically transform public services across the board. We need to demonstrate an intellectually credible and lawful way of responding to emotional and social emergencies. Many public services respond in ways which are not recognised as oppressive and unlawful. When challenged, public servants have taken a year or more, to put things right. Others decline to respond. Courts and tribunals are too slow, cumbersome and costly, to deal with everyday emergencies. Those require immediate decisions, which are not only legally sound but do not cause helplessness, hopelessness and wholly unnecessary dependence on our public services. That happens when they try to control us. They must act to give us the confidence to act independently, collaboratively and responsibly towards others. We cannot move forward, unless the government agrees to and provides a new law. We are so sure of immediate success, that the requested powers could be granted for a trial period, to test the benefits. Given the necessary powers, unlawful actions and hindering responses by public servants could be stopped at a stroke. The new service would issue instructions to immediately comply with existing law. However, those instructions would be invalid, if they could be proven wrong, inaccurate or misleading. If public servants or others persist in emergencies, with actions they cannot immediately prove to be lawful, the new voluntary service would instruct offenders to help and not hinder or completely withdraw. If they refuse, the emergency service would have the power to enforce its decisions and as a last resort, impose fixed penalties. That would achieve instant results and through publicity, a sound way of driving up standards. A sound body of legal and psychological knowledge would quickly emerge, with significant contributions being made by our best public services and universities. Only incompetent, blundering and oppressive officials would have anything to fear. Through such new and democratic challenges, staff would instantly recognise how to provide excellent public services. Crucial but little known laws would be made clear. However, we believe the government would want to go further. For example, when a very disabled mother died unexpectedly at home, her social worker, rushed to collect her three children from school. On the very same day, they were evicted from their rented home, by the person responsible for their mother’s Will. The social worker and approved volunteers were prepared to live with the children for a few days or weeks, until they had been given time to absorb what had happened. Emergency powers were needed to protect those children, in their own home, in that emotional and social emergency. Their social worker needed the emergency power, to override the decision to evict the children. Through the requested emergency service law, greater protection could be given to children, who are suddenly faced with devastating circumstances. An academic in psychiatry, recently discovered that even hospice staff are reluctant to speak about death. So strong is our cultural taboo, that most health and welfare staff withdraw, the moment someone dies. Those who are newly bereaved even after expected deaths, may feel abandoned, isolated and bewildered. They may feel like wild animals trapped in cages or be frozen with fear. They may need immediate help to make sense of their feelings and reactions. They may need immediate help to gain rapid control, over situations which feel totally out of control. There have always been pockets of excellence, which have never been spread across the board. That is because of inadequate education, training, guidance and support. Consequently public servants lack the confidence to help with all manner of lawful decisions, taken immediately after bereavements. The new law is now the only answer, to rapidly break away from the disabling, unlawful and even criminal habits of the past. Note that the website shown on the banner no longer exists. Tony Blair turned his back, on the proposal for an emergency bereavement service. He didn’t respond over a number of years, to correspondence or requests for a face-to-face meeting, with him or a relevant minister. Eventually, he was informed that a message would be delivered to him, when the Returning Officer announced the result of the 2005 general election, in the Sedgefield constituency. That message is shown in this photograph, courtesy of the Northern Echo. It could not be discussed with him, as he kept out of sight during the count of votes and disappeared immediately after this photograph was taken. On November 2nd an interview on Radio 4 ‘Today’ programme asked if culturally we pretend that “death isn’t there” and we have “made a mistake in pushing death out of our lives”. I sense that many of us have. Despite losing four other immediate family members suddenly and unexpectedly it wasn’t until I lost my son and learnt that the undertaker that I had hired had violated my son’s final resting place that I began taking an interest in the legal rights of the bereaved. One person keen to encourage that people think about and discuss issues around death is Jon Underwood at Death Cafe. I’ve studied what the law says in relation to “disposing” (an insensitive legal term) of our dead and attempt to share what I have learnt with other people, but unless people begin willing to discuss death itself, they cannot begin to grasp what the law says about it. Those with an ‘agenda’ will continue to have psychological power over us all when someone close to us dies. The wrong people (strangers) assume powers and those who have legal powers are not told. Reality and perception remain at odds, but I sense that Jon’s efforts will go a long way to dispelling much of the misconceptions that currently exist. On Remembrance Sunday, a charity will launch a website, http://www.exhumationlaw.moonfruit.com/ calling on the government to stop colluding with the unlawful destruction of graves created within living memory. WW2 veterans in Halifax protested in vain, over the destruction of their family graves in 1993, in what had been Methodist burial ground. After the destruction, John Bradfield of the Alice Barker Trust, who had published a book on burial law, pointed out that the government continued to act unlawfully. He said, “Families had purchased the rights to continue with burials. They were the owners of their gravestones which could not be removed or destroyed without their prior consents. An adjacent burial ground could suffer the same fate, if the government continues to defy the requirements of the law”. In 2010, the Ministry of Justice caused what archaeologists referred to as a “crisis”, because of confusion over the law and refusals to issue exhumation licences in the same circumstances as previously. John Bradfield is highly critical of the Ministry of Justice. He said, “It recently squandered the first opportunity in 155 years, by failing to explain the issues in the highest courts in the land”. The Court of Appeal upheld a judicial review decision, that a religious order can trump a close relative, over whether a grave can be destroyed. The Supreme Court refused an application for a further appeal. John Bradfield said, “The family graves of war veterans will continue to be destroyed, with the collusion of the government, unless the Ministry of Justice clarifies the law in the courts or creates the modern legislation which has long been called for”. John Bradfield, Alice Barker Trust, 7 Knox Road, Harrogate, HG1 3EF. NOTE – emails are not seen automatically so please ring if you send an urgent email. Down to Earth is now recruiting volunteer mentors to support people on a low income as they deal with the funeral planning process. What skills and qualities are we looking for? We need people with empathy, patience and good communication skills. You will be a good organiser, confident in problem solving and happy working with challenging and delicate situations. Some experience of death and funerals is ideal, but not essential. Above all, we are looking for people with the desire, time, skills and compassion to commit to working with people who are making hard decisions around death. Due to the sensitive nature of the volunteering we suggest that mentors be aged 21 or over. Volunteers would be asked to commit to the project for a minimum of six months. When? Training Dates: 10:00 to 16:00 on 15th, 16th and 22nd, “3rd August 2012 Interested? Telephone Lawrence on 020 8983 5055 or write to LawrenceKilshaw@qsa.org.ukfor an application pack or just to find out more. Can a Will made in the UK simply be ignored by an executor? “Any Last Will and Testament can be legally ignored and bypassed in the United Kingdom, there is nothing within the Laws as they stand today to stop such abuse by any executor. We have proved that your, a loved one’s or anybody’s, Last Will and Testament is easy to mal administer in England, and we have shown how it can be done, with or without the help of a solicitor. Executors can and are excluded. Even Wills written by solicitors can be ignored; Solicitors, and Will writing agents know this, but they still continue selling this drafting service which is not fit for its purpose. There is no real safeguard that the wishes of the deceased will be adhered to; there is nothing in place to ensure compliance. All this is sadly true and the reason we have written our book; it is in the public’s interest to know the pitfalls we have unearthed. All the British Inheritance Laws need to be changed and/or replaced with Laws that protects and honours the dead: Laws that actually can and will be enforced, Laws that actually work to protect those who write a Will and penalizing those who go against a dead person’s instructions. We would hate to see what has happened to us repeated although we know that will happen every day until those within the Government and Legal Profession act to rectify matters. Until these much needed changes are implemented we know Wills are mal-administered daily in the United Kingdom and the perpetrators profit, unhindered and walk away scot free with their ill gotten gains. You can help bring these changes into force by writing the letter drafted at the back of our book and posting it, we give a list of suggested recipients. Nothing will be done to make the change until enough people act: the aide to the Minister of Justice made that quite clear at our meeting in his office. Our story shows what we have experienced and uncovered while trying to execute Alan Hindley’s Will; it has resulted in a complex 10 year journey that exposes many facets of human nature and the establishment’s workings. You will be amazed and disgusted by what is disclosed within the pages. Please remember that everything is true. Everyone needs to be aware of the immoral reality”.